"The LGBTI community was hit hardest by the HIV crisis and as such they came together to look after one another." Bobby Goldsmith Foundation Auction 2017. Image: Ann-Marie Calilhanna. 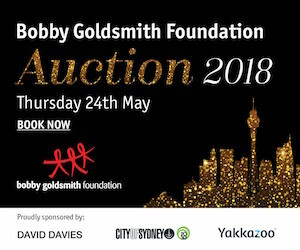 The Bobby Goldsmith Foundation (BGF) holds an annual auction to raise much-needed funds towards practically, emotionally, and financially supporting their clients living with HIV. The fact that it’s a fabulously entertaining night is an added bonus. Romany Brooks joined the fundraising committee of the Bobby Goldsmith Foundation (BGF) after being inspired by the passionate and generous people who were already supporting the charity. 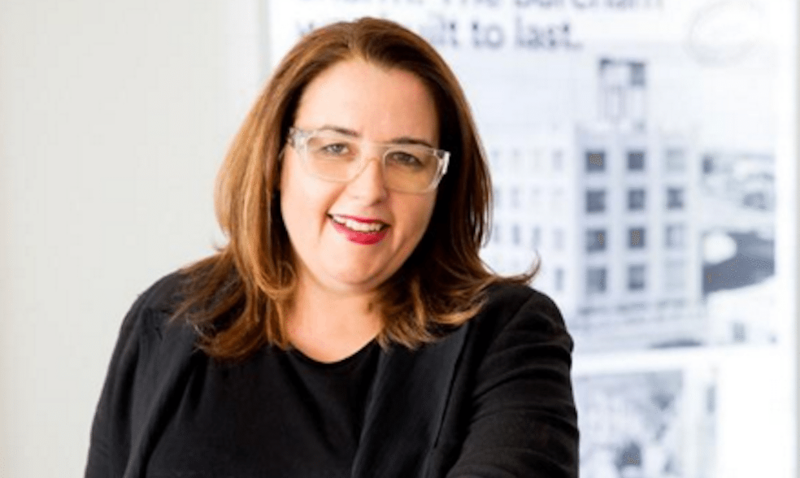 She was initially an auctioneer for cakes at the foundation’s annual Bake Off fundraiser, and then, after being asked for help, jumped onto the committee without hesitation. “As Australia’s oldest HIV charity, BGF was formed by a group of Bobby’s friends who wanted to provide him with some creature comforts and care as he was nursed at home until his death from an AIDS-related illness in 1984,” she says. “They held a fundraiser at The Oxford Hotel which has since become legendary, with countless funds raised over the years to provide support to the many, many people affected by the virus. BGF’s annual auction has become a staple in Sydney’s LGBTI calendar, and this year’s event is set to be a glamorous and fun-filled evening at the historic Customs House. Hot on the heels of Mardi Gras, the team at BGF are gearing up for the auction, which serves as their biggest fundraiser of the year. This year’s hosts will be Jan van de Stool and Brendan de la Hay, who will entertain the crowds with their fabulous voices during the evening, while Brooks will be the auctioneer, bringing professional flair to the auction proceedings. Brooks says this year’s auction is going to be amazing. “The whole night is fun but as an auctioneer I have to say the auction is my favourite part, especially when you have two people at twenty paces fighting it out for a Louis Vuitton bag,” she says. “Don’t get in the way of some people and a Louis. DJ Mark Alsop will be spinning the decks and there will be plenty of exciting live and silent auction items on offer for eager bidders, including holiday houses in Vanuatu, the Hunter Valley, and Great Mackerel Beach, concert tickets, a cooking class and dinner with Claire de Lune, and dinner at Parliament House with MP Alex Greenwich. 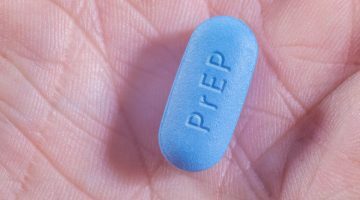 There will also be a special guest speaker, longtime BGF client David Polson, who was one of the first people diagnosed with HIV in Australia. Nick Lawson, CEO of BGF, says the team are aiming for this year’s event to be bigger and better than ever before. “Every dollar we raise on the night will go towards helping us provide practical, emotional, and financial support for our clients living with HIV,” he says. 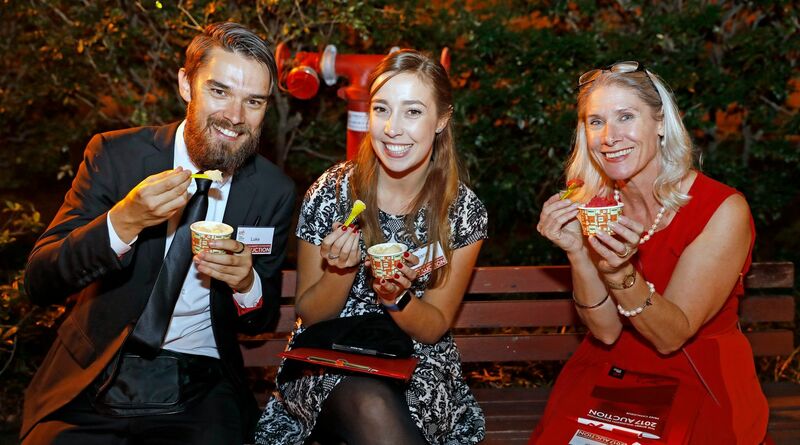 This year’s BFG Auction will be held on Thursday 24 May from 6 – 10pm at Customs House. The dress code is cocktail and tickets are priced at $125 each. For more information and to buy tickets visit: tix.yt/bgfauction-2018.